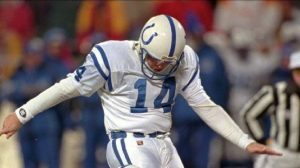 Former Indianapolis Colts kicker Cary Blanchard died Tuesday at age 47. According to Associated Press, Mindi Blanchard confirmed her ex-husband’s death. She said Cary passed away unexpectedly of what she believes was a massive heart attack, but added that an autopsy has not been performed. He played eight years for five teams, the New York Jets for his first two years, the Indianapolis Colts after taking 1994 off, the Washington Redskins in 1998, the New York Giants in 1999, and he played his final season for the Arizona Cardinals.